In this globalized age, where internationally recognized brands’ marketing efforts spread far and wide, it can seem like the new industry buzzword ‘hyperlocal’ is a recent phenomenon. In fact, before the advent of the internet, TV, or radio — markets were very much hyperlocal in nature. The world has a staggering 3.03 billion active social media users as of April 2018, with 81% of all small and medium businesses using some kind of social platform. Marketing on social media has become a no-brainer for the vast majority of companies, but few of them are taking advantage of the benefits that adopting a hyperlocal strategy can bring. Remind consumers of the rich value of their local communities by serving them hyperlocal content through social media channels. Digitalizing the daily smiles and friendly chats that consumers have in their local communities through a hyperlocal social media strategy can help you build relationships and brand trust. This can be done on Facebook through regularly posting image and video content centered around your store, local employees, happy customers, and points of interest in the area. Facebook is also a great place to get local customer feedback, which builds trust between you and the target audience, like the guys at Five Guys did. With Instagram, you can post updates to an event on your story, tagging local influencers involved and the location where it’s being held — which extends your reach to other people browsing content in the same area. Instagram’s ads are highly visible, with the potential to receive a lot of interaction when targeted properly. It’s no secret that people identify with stories that have real people behind them, rather than just blanketed, soulless marketing messages. The effect of this is intensified further when those stories are hyperlocal, and could easily have come from anyone in your community. Hyperlocal marketing allows the consumer to feel like they’re buying into the personal. Take a look at gym franchise Orangetheory, which does a great job of showcasing users’ fitness testimonials in local settings on their Instagram, which keeps people engaged and localizes their marketing strategy. Instagram stories serve the storytelling purpose perfectly, along with Instagram and Facebook Live videos, which are watched 3x more than traditional videos. Tweetstorms also work great for longer stories — where the account posts a series of tweets that consumers can follow with anticipation, often aided by including the same hashtag. Active hyperlocal marketing strategies that add value to their communities by engaging with local people are a sure fire way to build meaningful relationships with your target consumers. Just think about how much more memorable a brand is once you engage with it in a real-life way, while it’s doing something memorable in your community. By activating your employees to reach out to the community, your business can get people more than just digitally engaged with your brand. Just look at the success of Sensodyne’s London event where it offered the public dental checks, the chance to play games, and photo opportunities with Tower Bridge as a backdrop — 232 people participated in a world record attempt, 600 goody bags were distributed, and the brand received 150 mentions, giving them a reach on social media of over 4,000,000. Run events, or sponsor those already going on, and make sure to market these on your social media accounts, keeping your omnichannel approach seamless. Furthermore, 65% of consumers say that live events and demonstrations help them understand a product better than a standard commercial method — ultimately promising more sales. With all this in mind, the many benefits that hyperlocal marketing can bring — not least relationship building and brand engagement — make it a strategy for success that your business can’t afford to miss. By framing your brand image around its local impact and local people, a culture of trust and loyalty can evolve between you, your employees, and your consumers. 5 steps you can take to improve your video search ranking, including transcription, content, keywords and more. Adhering to design myth guidelines can result in bad design and a poor user experience, Paula Borowska writes. Borowska outlines seven of the most common myths she regularly sees, including the idea that the home page is the most important page and only minimalist designs can be simple. Use digital analytics tools and social listening to understand the content topics of most interest to your audiences. Tap customer segmentation to target and personalize content, and don't be afraid to experiment to see which combinations are most effective. Small-business owners might be initially discouraged by how few website visitors become paying customers, but there are ways to improve conversion. Here are 6 tips for optimizing AdWords campaigns, streamlining the conversion process and running retargeting campaigns. Matthew Dooley, founder of Dooley Media, gives advice on the best ways to use a hashtag in a marketing campaign, including using it frequently, rewarding the fans who use it, and using a live hashtag feed to both recognize your fans and promote the hashtag's use. Ecommerce offers fantastic revenue opportunities, the ability to be open 24/7 and traditionally fewer overheads when compared to bricks and mortar retailing. Yet, despite the fact that more than 12 million Australian consumers shop online -- and we are experiencing year-over-year double digit growth in online shopping -- a huge number of ecommerce businesses are struggling to be profitable, or in many cases, survive. 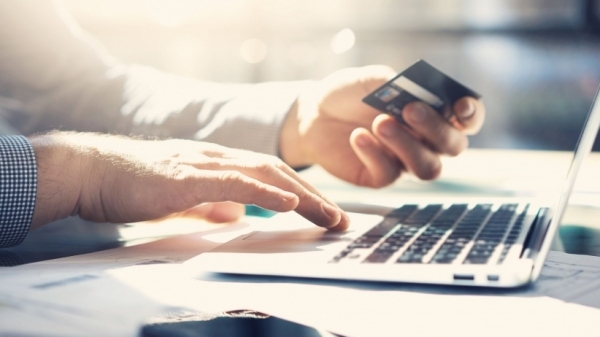 If you own an ecommerce store, or are planning on building one, here are 10 crucial items to be aware of that will have a significant impact on the success or failure of your business. 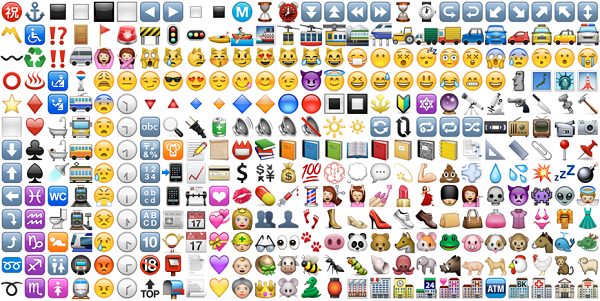 Emojis can boost push notification open rates by 85%, App Annie and Leanplum report. The use of emojis by marketers in push notifications increased 163% between 2015 and 2016. 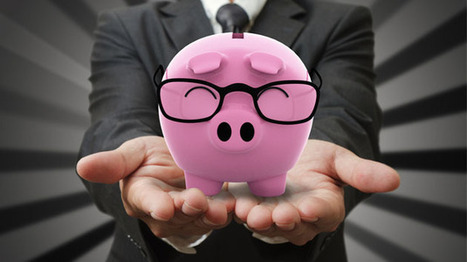 Marketing can be expensive, and that's where guerilla marketing comes in. 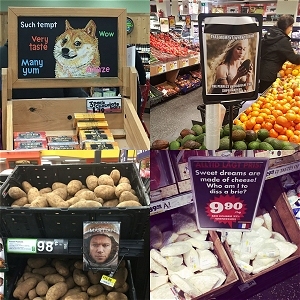 These store owners and employees take guerilla marketing seriously - targeting both occasions and customers, giving them both a surprise and something they'll remember. 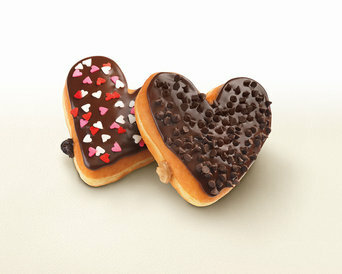 Dunkin' Donuts is leveraging Valentine's Day with Instagram, an emoji keyboard and a Facebook Live concert to engage consumers on mobile. The campaign includes a contest inviting users to share their love stories. Designers need to consistently update sites with new content, architecture and innovation such as responsive design. Successful sites also need copy that addresses the customer's problems and offers clearly defined calls-to-action. We know that a website is the hub of all our marketing efforts. So it’s critical to maintain a website that is up-to-date and filled with valuable, quality content to attract, convince and convert visitors into leads and eventually into sales. But if you’re website is making any of these mistakes, you’re missing out on a tremendous amount of opportunity to generate leads and drive revenue. When is the last time you looked at your website? Like, really looked. 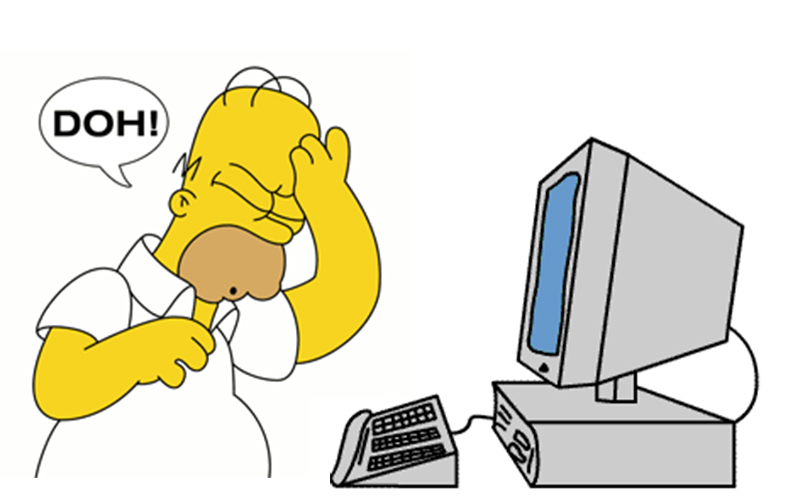 If you don’t know the answer of the top of your head – you’re already making one of the biggest cardinal sins of having a website. Unlike the past when simply having a website was enough to outshine you from the outside competition, today websites have a self-life of about 2-3 years. If you can’t remember the last time you considered the state of your website, the next question you need to ask yourself is when was the last time you spoke with your website vendor? If it’s been longer than you can remember, it’s time to do a quick check-in, or possible start the search for a new vendor. Many websites lack when it comes to their messaging. They are usually generic and stale, rather than appealing and convincing. Your messaging should be more about how you can solve a user’s problem, and less about how amazing you are. When your message is filled with self-proclaimed accolades, it gives visitors the impression that you only care about yourself. That doesn’t solve the problem that they are coming to you for and doesn’t show how you can help. Successful website messaging should immediately resonate with your visitor and complement the design of your site. This requires using words that show empathy and evoke emotion. When a first time user lands on your website, they are in search of two things: credibility & trust. Unfortunately, too many websites lack the thorough contact information visitors are in need of. This can make or break your next sale, especially if it was a hot lead that you were convinced you were going to close. If they can’t reach out to you with any questions, they are more than likely going to head over to a competitor who will answer those questions. Even more, a website that lacks a descriptive and informative About Me page immediately decreases the credibility of your business – especially if your messaging is boosting all your accomplishments. Show your team members and allow them to show a more personal, human-like side in their bios and head shots. Like the previous three I’ve already mentioned, the fact that websites still aren’t keeping their content up-to-date seriously makes me cringe. There is absolutely no way that any company can find an industry update, an internal company update, or simply spruce up or refresh a previously page of cornerstone content. Incorporating a blog or news center is a great way to add consistent new content that will educate visitors and position you as a thought leader. With our users at the forefront of everything we do in our digital marketing tactics, their demands for a fast loading website are one we cannot ignore. Users don’t want to spend time waiting for your large images to load when they can head back to the search engine and find a site that loads quickly and provides all the information they need. That means you’ve just lost an interested prospect … the clock is ticking, is your site up to speed? As of April 2015, responsive design is no longer a luxury for corporate websites. Google has now required it, as it is now a factor that determines whether or not your site will be visible in search engines. Beyond Google, 52 percent of users said they would be less likely to engage with a company if the mobile experience on their site was bad. Using a flexible CMS – such as WordPress – your web developer can ensure every piece of content published can be accessed and easily digested by readers regardless of the viewing device they prefer. Once a user lands on your site and feels you can provide value to them, they need to know what the next steps are going to be in regards to doing business together. Depending on where they are in the buyer’s cycle, these next steps will differ and evolve as they continue to move each step. In the awareness stage, directing them to a relevant, educational piece of content such as your blog, white paper or case study will provide more information about the problem they are having. As they move down the funnel, the actions you want them to take will continue to change as well, which will require different types of content. 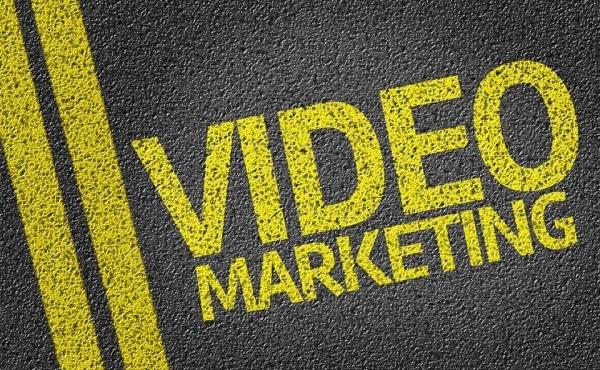 These types of format may include testimonials, email campaigns, industry reports, etc. Even asking someone to share a piece of content is considered a CTA and also helps expand the visibility and lifespan of your content. The ultimate goal is to capture the lead through a form and nurture that lead until they are ready to contact a sales rep. None of this is possible with a clear set of CTA’s that your visitor can follow. 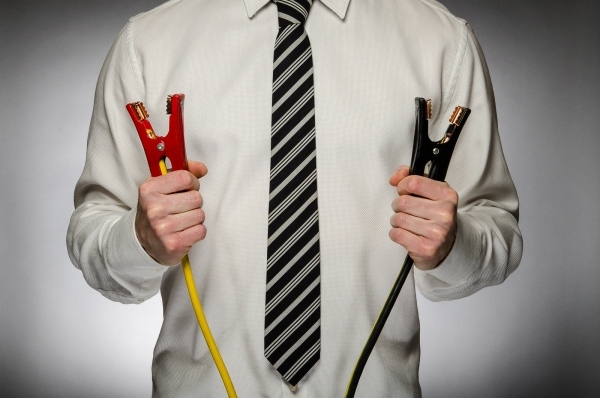 Partnering with the wrong vendor or relying on DIY solutions. Regardless of the avenue you take with your website, it can only be successful as the team supporting it. If you’re in need of a robust, attractive, compelling and cutting-edge website that stands out from your competitors, it is worth every penny as well as every bit of time it takes to complete it. A website can be built in a day, but it certainly shouldn’t be if you’re trying to gain a credible reputation on the web. As you may be able to tell, many of these mistakes are minor. But when left unattended, these mistakes can leave disastrous problems that will not only decrease your credibility in your industry, but also decrease your quality and amount of leads and sales made at the end of the day. Las Vegas was home to the recent Adobe Marketing Summit for the first time this year, and Sin City did not disappoint the more than 10,000 registrants, sponsors, and vendors who experienced a larger-than-life digital marketing conference at the gorgeous The Venetian/The Palazzo resort. 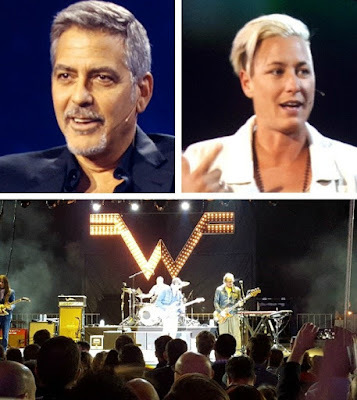 In addition to hundreds of breakout sessions covering the latest strategies and best practices in mobile, analytics, personalization, programmatic, omni-channel, IoT, and much more, attendees were treated to some Vegas showbiz glitz with appearances by actor George Clooney, soccer champ Abby Wambach, Silicon Valley's Thomas Middleditch, and a private concert by rockers Weezer. In the following, I will list some of the broad announcements made by Adobe in regards to its Marketing Cloud. I will also cover some of the most important trends you need to pay attention to as a digital marketer, as brought to light by my discussions with executives from Adobe and several other important players in marketing technology, such as the CEOs of Gigya and Clicktale. These insights should prove invaluable to you as you plan your marketing technology spends and campaigns in the years to come. The overriding theme of this year's Summit was that technology can help marketers shift toward creating more positive interactions or experiences with customers when marketing to them, rather than continue with the intrusive habits of the past. Things like: pop-up ads; forced registration, surveys, or app downloads to access content; "spray and pray" spam campaigns, and excessive retargeting are increasingly falling into disfavor. Instead, a more holistic marketing approach, one which develops relationships with consumers instead of simply interrupting them, continues to gain a foothold. Think of the sea change that occurred in sales some time ago, where transactional "hard sell" sales approaches made way for relationship-based selling, including the "trusted advisor" and "solution selling" models which are more organic and consultative. In the same way, marketing is experiencing a shift towards giving consumers messages they want to receive -- at the right time and on the proper device. Facebook today announced a few updates for its virtual reality (VR) efforts. The company said it has established a formal Social VR team that will build on the achievements of Facebook, Instagram, Messenger, and WhatsApp. Of course, the new team will collaborate with the Facebook-owned Oculus group, which has given birth to the Oculus Rift headset and the software underlying the Samsung Gear VR headset. “This team will explore how people can connect and share using today’s VR technology, as well as long-term possibilities as VR evolves into an increasingly important computing platform,” Facebook said in a blog post. The new team has two leaders: Daniel James, previously cofounder and CEO of Three Rings, the studio behind the casual massively multiplayer online game Puzzle Pirates, and Mike Booth, previously cofounder and CEO of Turtle Rock Studios, the company that made the Left 4 Dead series of first-person shooter games. In addition to announcing the formation of the new team, Facebook today also provided new growth statistics for the Samsung Gear VR. To date, people have watched more than 1 million hours of video with the device, and more than 200 games and apps are now available on it through the Oculus Store, according to the blog post. This isn’t the scale that Google has achieved with its Cardboard VR headset, more than 5 million of which have been shipped. But Cardboard has been available since mid-2014, while the Gear VR has only been available since November. And because it’s being supported by a company that knows a lot about getting users — Facebook on its own now has more than 1.55 billion monthly active users — the Gear VR could very well turn out to work at scale. 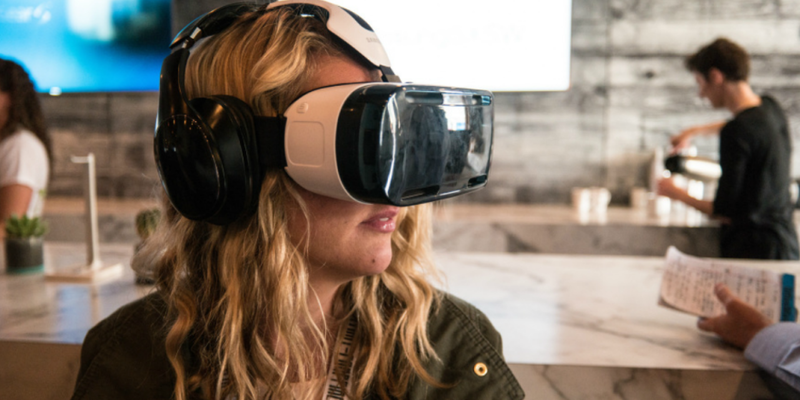 To improve 360-degree video in VR, Facebook in the next few weeks will be taking its know-how about intelligently streaming that type of video on desktop and mobile and bringing it to the Gear VR. “By doing this, we’ve quadrupled the resolution quality of 360 streaming video in VR, while reducing the amount of required network bandwidth by 4x — so videos look clearer and play faster,” Facebook wrote in the blog post. Who's the real spring chicken? Punxsutawney Phil makes his depressing prediction nearly every year: Keep the coats and snow shovels handy because there's likely to be at least six more weeks of winter. Isn't it time some other critter, one with a much sunnier outlook, became the harbinger of spring? 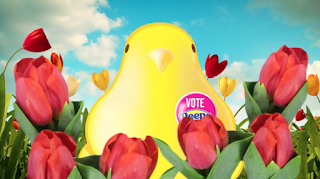 Peeps chicks, those airy sugar dumplings, are trying to unseat the oversized rodent as the spokescharacter for the season in a new digital campaign from The Terri & Sandy Solution. Four short election-style videos pit the two against each other to see which one can whip up the most public support. Peeps, made by Just Born Quality Confections, rack up most of their sales at Easter, but the brand's marketing stunts in recent years have increasingly tried to co-opt other holidays. A program around Groundhog Day, to extend the spring buying window, was inevitable. Look for the digital shorts on social media, the brand's Facebook page and website. Have a business and a website? Time to get Local. Times are changing, and some of the old marketing habits by consumers are returning. For instance, over the past couple of years consumers searching for local business on the internet has increased to 85 percent. Now that the novelty of the internet has calmed, and big box stores are less popular, consumers are going local. This makes it more important than ever for you to market your business with your local target audience. Your local SEO strategy should be taken seriously so that your business scores a consistently high rank on local search engine results pages (SERPs). Here are some of the best tips for beginners and seasoned SEO pros alike to beef up your local visibility. Your site may be already listed on several local sites and you don't even know it, and there may be other great local sites you aren't even aware of that you should be on. One of the easiest ways to find out is to use Synup. Synup allows you to search for your listing on local pages, claim them, manage them and even manage the reviews for them. In addition, Synup's great list of Top Local Citation Sources let's you see which sites to check for your business and get listed if you're not already on them. Speaking of citation sources - you need to build local citations in order to improve your local search rankings. There are thousands of citation sources on the web and you need to figure out which ones are right for your business. Whitespark's Local Citation Finder helps you fine and track hundreds of citation to find out where to list your business. It's as simple as entering a key phrase and searching for citation sources, showing you high-quality sources for your niche. In addition, analyze successful business competitors in your market and show you which citations they use. As I've said before, MOZ is an indispensable tool. Not only should it be the first listing you make for a new website, but it's worth revisiting as you grow. MOZ Local makes updating listings simple. 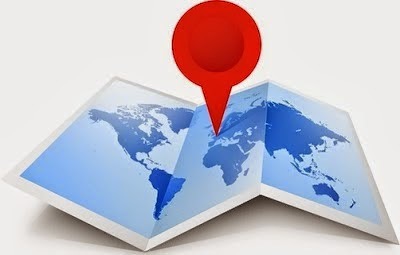 Enter your location information and Moz Local will push this data to well-known, high-quality online directories and top-tier data aggregators in the business. Your business’s local listings are a critical element of your local SEO strategy and you can’t afford to do it wrong. 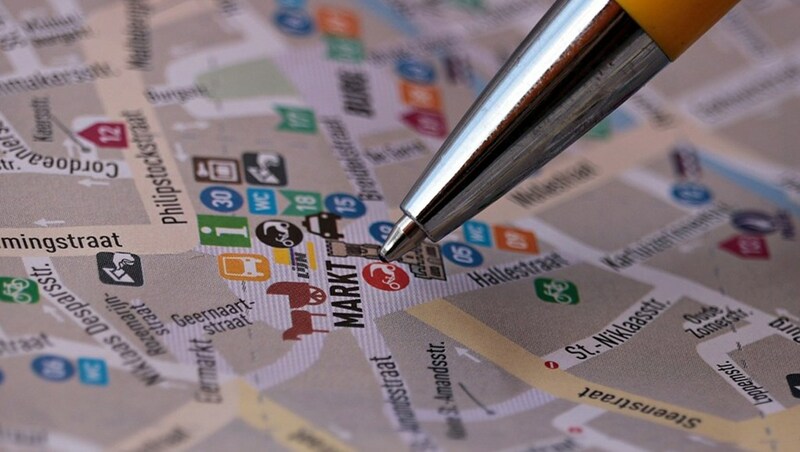 Let your potential customers easily find you in their area! You have Google Analytics installed, you work hard on your social media and you are dedicated to your SEO. But do you know what search engines are really seeing? These tools will help you find your place online in terms of seo, ranking, marketing, code quality and social media. 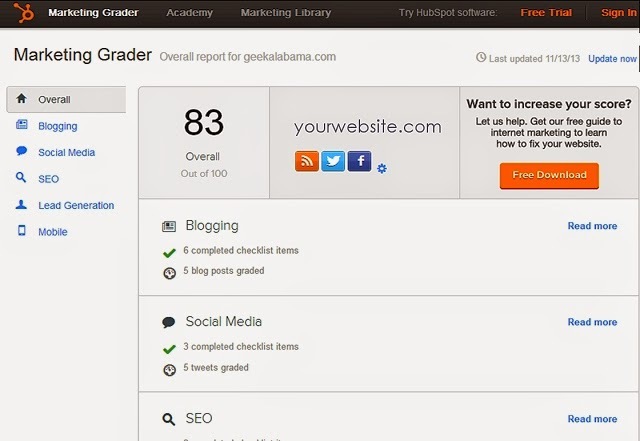 They are absolutely invaluable for measuring your marketing, seo and web design efforts. Each section has a checklist of items as well as grades for individual aspects of the category. 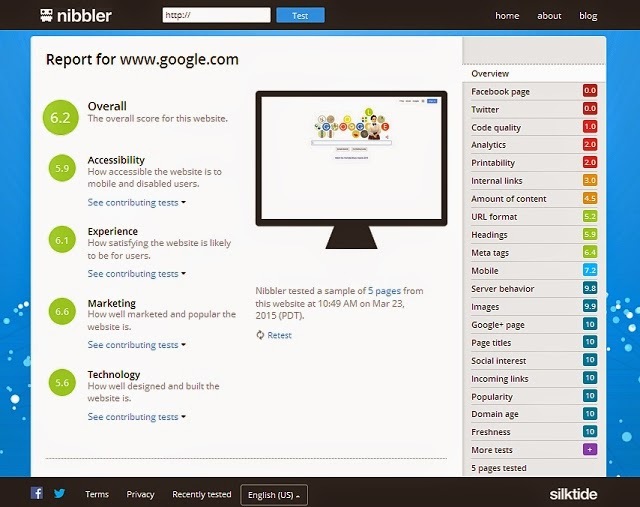 The free Nibbler test looks at a slew of site characteristics. With more than 24 items, you get an overall score (on a scale of 1 to 10) and a list of improvements ordered by priority. The information in this report is so detailed and so well categorized, you'll see items that need improvement where you never thought to look. You'll also understand where your efforts need to be increased. This is an SEO powerhouse review. Your site is scored on a scale of 1 to 100 and a even has report that you can download as a pdf or slides to share with your marketing team. In addition to seeing where your SEO efforts are going right or going wrong, WooRank analyzes the keywords on your site, letting you know how they rate and if they appear in the right places, such as title, meta tags and H tags. Quick Sprout offers a number of comprehensive results. 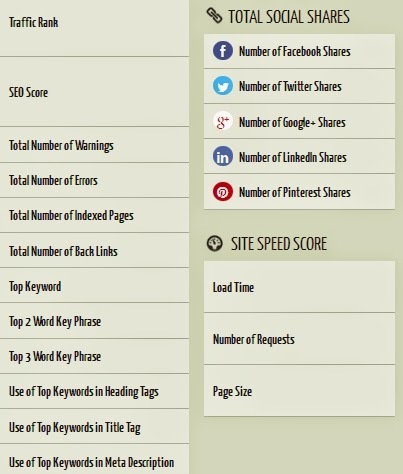 You will get a breakdown of your most popular content, keyword ranking, shares and much more. In addition, you will see this information for any competitors you want to add. Know your competition, know your strengths and see what needs improving. 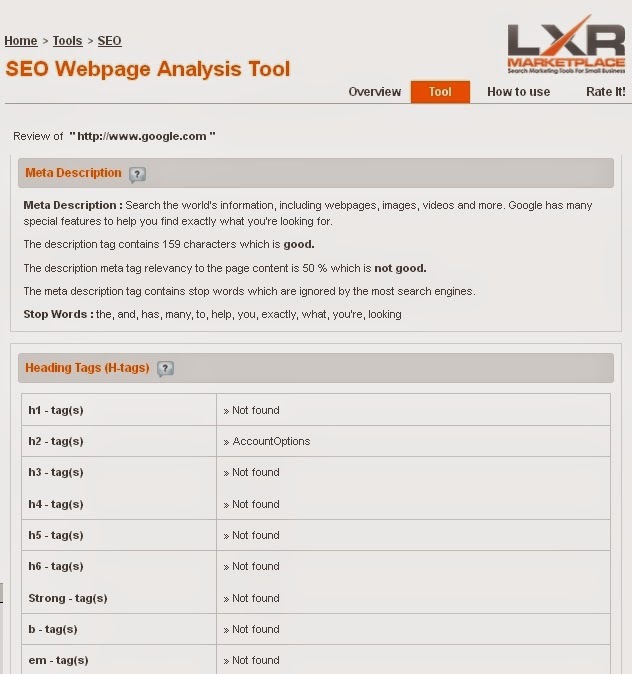 The LXR Marketplace Website Analyzer tool is a good one for looking at the core elements of your page (and competitors, if desired). You'll get all sorts of information from the page type to the header tags used. You can also see your web page content, links on the page, image alt tags and anchor text. 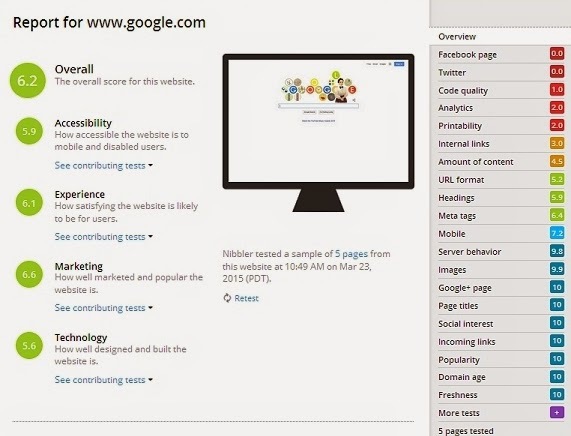 All with recommendation on how your on-page SEO factors can be improved for ranking in natural search results. 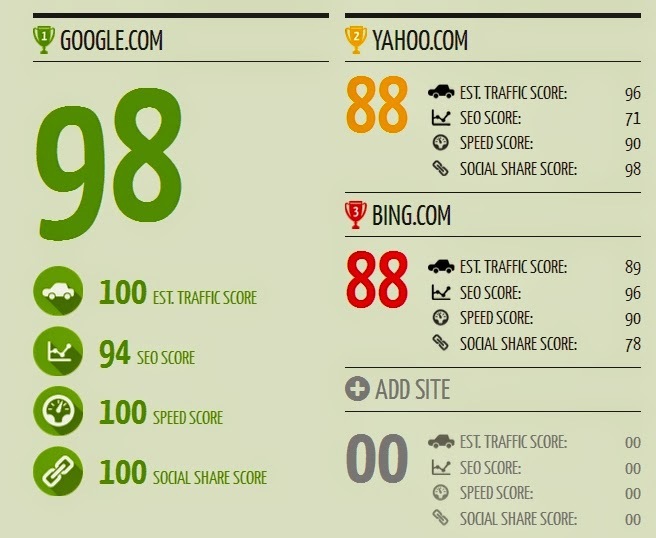 In addition, they offer other free tools for analyzing other SEO factors. Helps to identify which key on-page SEO factors are directly affecting your organic rank and provides recommendations based on these factors. What can you learn about your website, blog or online store? Do you have someone tracking the performance of your content? Let me know what you learn from these tools and what you did to improve your site! Why a Google+ strategy is important to your business. Google+ hasn't been the most popular social network online and isn't popular with many businesses, who think it's cumbersome, ugly and not as effective as other, older social media outlets. Well, we think it's time to take another look at and reconsider your social media optimization strategies for SEO. Last summer, MOZ, SEO Analytic giants, ran their scientific correlation study to discover what web page qualities have a strong association with ranking highly in Google. For the first time, the Moz Data Science Team measured the correlation between Google +1s and higher rankings. The results were quite amazing. They found that after Page Authority, a URL's number of Google +1s is more highly correlated with search rankings than any other factor. In fact, the correlation of Google +1s beat out other well known metrics including linking root domains, Facebook shares, and even keyword usage. So, can Google+ activity actually help your pages rank higher? You bet. Moz found that not only is the correlation for posting on Google+ higher than that for Facebook activity, but the Google+ platform has qualities that make it a far superior platform for SEO. These qualities suggest sharing content on Google+ has the potential to influence search rankings in significant ways. Intentional or not, the engineers who made Google+ built it for SEO. Why is it different than sharing on other social networks? Unlike Facebook, which hides data from Google, or Twitter, which directs Google not to follow most of its links, Google+ data is immediately and fully accessible to the company that built it. Unlike Facebook or Twitter, each post you make in Google+ has most of the characteristics of a full-blown blog posting - a unique URL, the first characters appear in the title tag and reshared posts accumlate internal links with relevant anchors. Because of these factors, each post has the potential to send strong semantic signals to Google's search algorithm. Your Google Plus posts allow you capture SERP real estate as they appear on Google search page results, thus your audience may find your Google Plus content through a standard Google search. 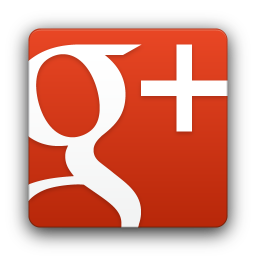 Google Plus content stays around, gains page rank, gives page rank and appears in search results over a long period. It appears Google Plus posts can retain ranking indefinitely with some posts over a year old still top of search result pages. Compare this to the 14 minutes of life a standard tweet is estimated to have. The bottom line is, you're losing out in terms of SEO if you are not using Google Plus effectively. This may be the most important marketing tool you use for all of your online strategies to date! As a small business, you've heard of branding and the role it plays in your identity and marketing. However, most small business owners are confused or overwhelmed by the concept of just what branding is... is it my logo? my color scheme? my website? my tagline? So, what is branding? According to Bill Chiaravalle, Principal and Creative Director of Brand Navigation, “brands are promises that consumers believe in.” He simplifies the entire branding process down to the fact that if a company has done a good job branding themselves, the consumer will trust them and ultimately develop a strong emotional attachment to them. So what can Geek Squad teach you? They know branding. They've embraced the full concept of customer confidence, loyalty and recognition through their amazing branding strategy. The Geek Squad understands that branding covers every single aspect of business. It’s never just about your website or business logo (although that’s part of it). Branding is about creating a feeling and a response in the minds of your clients and customers. The name of your company is an integral part of the branding process. You need to ensure that your customers understand who you are and what your represent through your company name. Obviously, the name “Geek Squad” speaks volumes. Your website needs to offer your prospects a big picture look at your entire brand. Everything on your site should promote the promise that you are making to your clients and customers. Your company mission statement should be a natural extension of your brand. The Geek Squad states, “We’re an army more than 18,000 strong, on a singular mission to rid the world of rogue technology. We’re still oddly dressed, but we’re now oddly dressed and saving the day across the globe.” Brilliant. Yes, branding even entails how you answer the phone. Think about ways that you can integrate your brand and your business phone. The Geek Squad doesn’t just “answer the phone.” Instead you are prompted to enter your “top secret pass code” or speak to a Geek Squad Special Agent. The on-hold music consists of a compilation of spy movie theme songs. If you can incorporate your brand into the way that you or your employees dress, this will even add more believability to your brand. Of course, Geek Squad employees dress in white shirts, dress pants, “geeky” ties and yes, some even flaunt the pocket protector. If you’re going to use Twitter as a marketing tool, make sure that you use it as a platform to develop powerful brand awareness regarding your small business. @GeekSquad tweets daily tips on fixing your computer, removing spyware and other “geeky’ topics that their dedicated customer-base loves. One of the most important marketing tools for today’s small business is maintaining a blog. There is no better way to communicate directly with your prospects, customers and clients. 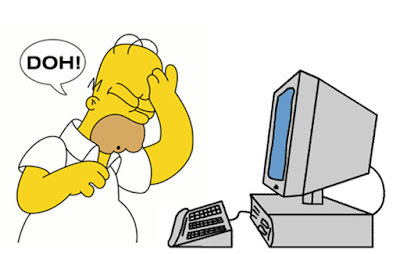 At the Geek Blog, the writers go into depth about geeky technology, geeky facts and geeky jokes. Have you heard about GeekSquad TV? That’s the ingenious Geek Squad videos that showcase the intelligence and utter geekiness of these likable employees. Again, their videos continue to drive home the fact that these guys know what they’re doing. 9. The Car You Drive. If you are creative enough, branding can even be a part of the car you drive. Take a look at the “Geek Mobile,” a compact, little VW emblazoned with the Geek Squad logo. If that doesn’t create brand awareness, I don’t know what would! One of the most crucial aspects of branding a small business is that you must be absolutely consistent. Every single interaction that your customers have must send the same message. You are ultimately creating experiences for your prospects, clients and customers that create trust and build emotional attachments to your company. So, as you begin the task of building a brand that creates fierce and intense loyalty in your market area, don’t forget about the Geek Squad. They are branding masters.